Zero presents this full sleeves Tee and diaper leggings set for your little one. 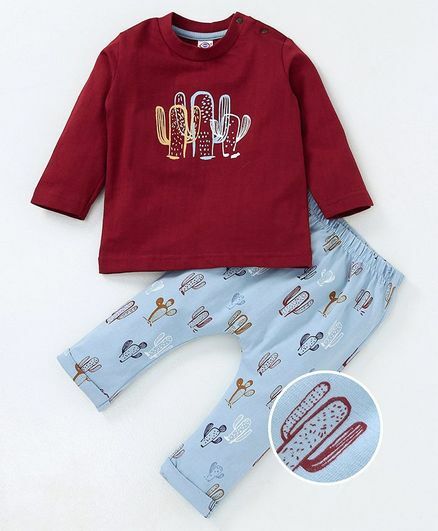 The Tee has been attractively designed with trendy print on solid base and soft elastic waist diaper leggings, which gives it a snug look. Round neckline wituh shoulder snap buttons offers ease of dressing. The fabric ensures maximum comfort, so that your little one is at ease for the whole day. Styling Tip: Mix n match this set with matching booties to complete the look. I recd the product bt colour quality is not gud.